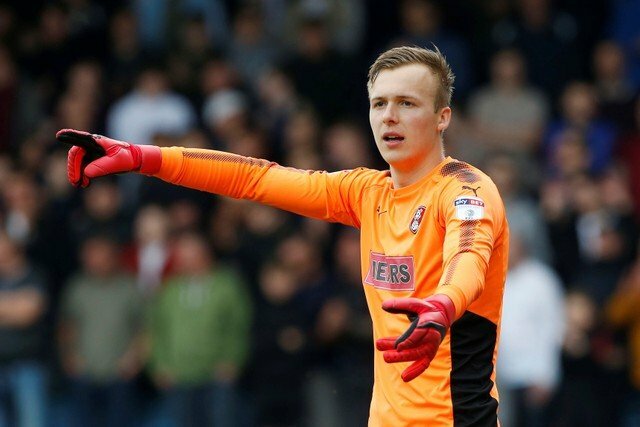 Vital Rotherham United’s Man of the Month for November is Goalkeeper Marek Rodak, who also got the accolade in October. The twenty-one year old joined the Millers on loan last season from Fulham and soon became a fans’ favourite helping Rotherham to the League One Play-Off Final at Wembley in May where they saw off Shrewsbury Town to get into the Championship. In July he again found himself at the New York Stadium on a season long loan and has gone on to make twenty appearances keeping five clean sheets. Marek has also been called up for the Slovakia National team and has made appearances for their U21 side, scoring a goal for them in the 2019 UEFA European Under-21 Championship qualifying competition against Iceland’s U21 side. Of the four games the Millers played in November, Marek was voted Man of the Match at home against Swansea City and away at Blackburn Rovers. He was also joint Man of the Match with skipper Will Vaulks for our last game of the month which was the Tuesday night draw with Queens Park Rangers. Our home draw with neighbours Sheffield United saw Jon Taylor get the voted.